Welcome to the final post of six in a series, “I Have a Story Idea, Now What?” Come on in as we talk about performing surgery on your new baby. Obligatory disclaimer: there is no one true way to write or outline or plot or edit. What I’ll be doing in these posts is talking about how I do things, and why, and what I’ve struggled with. Feel free to use anything that seems useful and ignore the rest. So you’ve written your story. Now what? Surely the worst part is over, right? Writing the first draft is getting your ingredients together. Editing and writing subsequent drafts are producing the final product. Full disclosure right up front here: editing is absolutely my weakest skill. It’s one I’m still learning, and thankfully I’ve been able to work with some amazing editors and start to see a little bit through their eyes. One of the reasons I started actually planning novels ahead of time was because after the first draft, I’d have a jumbled mess that I had to untangle as I veered off on tangents, threw in new subplots that never went anywhere, that sort of thing. By planning, I had a road map, and even if I took a side route, I usually at least knew why, and what I was trying to accomplish with it. So for me, planning is like goal-setting. You say what you’re going to do, and when you’re editing, you can go back and see if you did what you said you were going to do. I’m still working on a process that works consistently, but most of my editing technique comes partly from this excellent article by junkfoodmonkey. For most writers–and for me–the very first step in editing is to put the story away for a period of time. Some people say as long as a month for a novel; I’ve never been able to wait that long. I go by how I feel. When I finish a first draft, I AM DONE, I do not want to see that book ever again. Usually within a week or so, I start thinking about how I could have done things differently, or what I liked about it. I start missing my book, essentially. Then I know it’s time to dive back in. The point of that first readthrough–and waiting to do it–is to read the book like a reader would. So reading it in a format other than the one in which you write it helps a great deal. For me, just getting away from a computer is enough, and I read so many books via the Kindle app, it’s just like my everyday reading experience. It’s always an interesting experience to read something after being away from it for a while, especially a longer work. You find things that you completely forgot that you wrote. You find things that make you cringe, you find things that are absolutely wonderful–it’s a fascinating thing. As I read, I make some few mental notes about things, if I see something that absolutely DOES NOT work, or if I see a glaring continuity error. But that’s it. At this point, I don’t need to do any sort of reverse outline or scene synopsis, because I have that built into Scrivener: each of my scenes has its own virtual index card, and I make a note of what the scene is about as I’m writing it. Here’s the hard thing. Or at least, it was the hardest thing for me when I started editing. I may have mentioned it before. I had to learn to let go of my original “vision” of the story. I somehow had it in my mind that the first draft was “canon”, and anything I did to alter it would be wrong. It wouldn’t be the “real” story of what happened in my universe. I had developed this mentality as part of believing that inspiration controlled everything, and that my characters made the decisions of what they did, not me. I had to learn that no, I was in control, and what I said was “canon”, was canon. That I might be inspired by my characters–in fact, I should be!–but that they did not control the story. I did. Once I learned how to do that, it got a lot easier to make major structural and plot changes. I still struggle with it. Sometimes there’s an event or a plot point that I really fight to keep in a story, just because “that’s what happened! !” This is where the phrase “kill your darlings” comes from, I believe. I can be 100% in love with a scene, but if it doesn’t fit into the story, or if it slows down the pacing or is somehow unnecessary, it’s gotta go. It may be obvious where some of the flaws are–scenes that are out of order or unnecessary, missing scenes that need writing, etc. Or it may not be. The worst feeling about editing is knowing something is wrong, but not knowing what. In my first drafts, it usually means one of two things: a) my main characters are being too passive, or b) I’m not making things flow, like it isn’t completely clear and logical that A leads to B which causes C.
I am THE QUEEN of writing passive characters. I have a new rule now that I can no longer lock up my protagonist in some sort of detention or jail as part of the climax. Because I’ve done it that many times. Talk about taking agenda away from them! This is where my planning comes in handy. I know what they want, so it’s easier to make them do things to get it. I know what obstacles they face, so it’s easier to stall them without completely taking them out of the story action. The second item, the issue of cause and effect, is one I still struggle with. I don’t have a solid answer of this one yet. In my planning right now, I’m trying to make the connection between events much clearer, and certain that the consequences of everyone’s actions are clear and coherent. Those are my bugaboos. The more you read and edit your own work, you’ll find your own issues and tendencies. After you have all of your restructuring in place, you can move on to smoothing out the new transitions, adding in the new scenes. Here’s where you can start working on a sentence level, on a character level, adding layers to characterization, adding more visual description (if you’re like me, and tend to write as if everyone’s standing around talking in a white room). 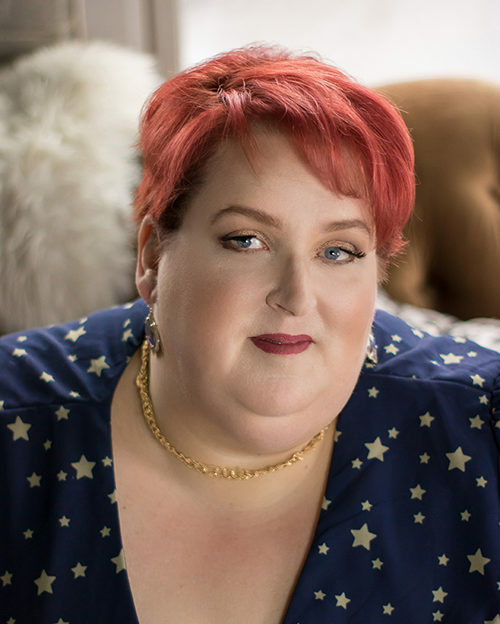 One final recommendation, if you really want to dive into the process of self-editing: Angela James, the Editorial Director for Carina Press at Harlequin, offers a self-editing course called “Before You Hit Send”, and I cannot recommend it highly enough. I learned a hell of a lot from it, and want to take it again sometime for a refresher. Even if you don’t write romance, everything in the course is useful, regardless of genre. So that’s it! Hopefully you now have a few tips on what to do with that story idea wandering around your head. I know I actually reminded myself of a few important things while writing it. Good luck writing! Don’t forget I’m always around on social media to talk about this stuff. I love talking process.